Arsenal Legend writes off his former sides title chances - Impressed with Chelsea. Ian Wright believes that his former side are some way off being title contenders compared to Chelsea which is sure to go down well across North London. Think back to around 7pm on Saturday September 24th and the fact that Chelsea had just been well and truly beaten by a more than impressive Arsenal side 3-0 at The Emirates, no one could have imagined the drastic change in Chelsea's fortunes. As stated, Chelsea were taken apart by Arsenal in the first half of our encounter back in September and without question, Antonio Conte had a massive job on his hands to turn things around. Chelsea looked vulnerable at the back, low in confidence and a replica of what we had to watch for the majority of last season. Our big players were nowhere to be seen and we looked like a team without ideas on how to counter everything that Arsenal threw at us. Chelsea fans were better off spending money in the bet365 casino rather than backing their team at this point! If you had asked me or any other realistic Chelsea fan for that matter what the best was that we could aim for, I honestly believe that in saying "top four" as a response would have been at a push. 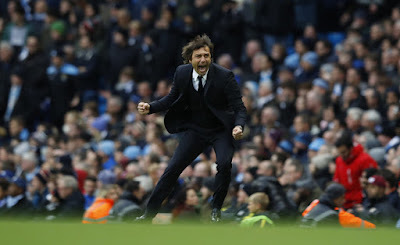 Chelsea were bang in trouble and Antonio Conte was under almost immediate pressure with some members of the press stating openly that he could be facing showdown talks and the sack as early as it was into his contract. It couldn't get much worse. Fast forward nine weeks later and I challenge every single Chelsea fan on the planet to admit that they knew we would find ourselves where we are now AND playing the way we are! Eight wins in a row against Hull, Leicester, Manchester United, Southampton, The best ever team performance against Everton, Middlesborough, Tottenham and Manchester City have taken Antonio Conte's side to the top of the Premier League three points clear of our nearest challengers which happen to be Arsenal. It's a truly amazing turnaround that has come about from a tactical switch made by the manager. As the weeks and games have passed, being a Chelsea fan who has seen everything in all the time I have been watching and supporting the Blues, you appreciate the win and the performance but think that the next game is going to be difficult and the wheels are going to come off our run at some stage. However, as we have seen and especially in the performances against Manchester United, Everton, Tottenham and Manchester City, there is a steel and a determination about this time that refuses to give in, sticks to the manager's tactical game plan and so far so good. 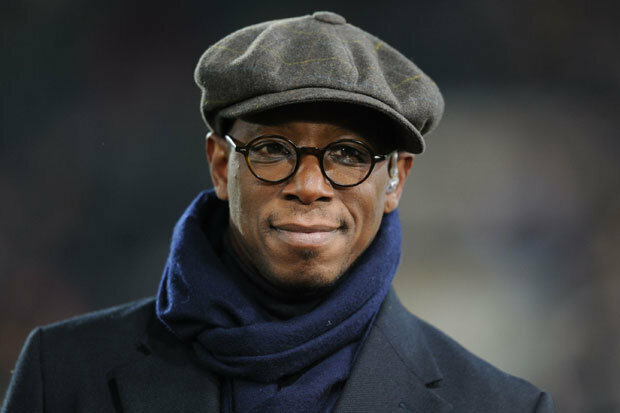 To put that run of results together is fantastic and it's something that has impressed Ian Wright, the Arsenal Legend and someone we all admire for his goalscoring exploits. 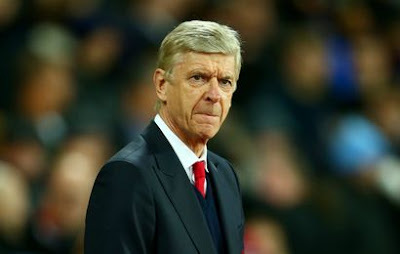 Often outspoken and someone who cannot hide his affiliation for the North Londoners, he has spoken out of what hopes he holds for his old side in their quest for the Premier League title this season. "No I don’t think so, especially after how Chelsea played. They seem to have the momentum at the moment. I haven’t seen anything from Arsenal’s last three or four games to make me think they’re there yet.’ - Source - Metro. This is the problem with quotes and answers that are being given at this stage of the season, it's far too early for anyone to talk about who is or isn't realistic title contenders. Look at this month for example, there are so many games, so many variables to consider that whoever comes out of it on top of the League would have consider themselves to be challengers. Especially with it being so close at the top of the League, it would be hard to try and predict anything but to just see what happens as the weeks and months come and go. As with any season, teams have their patch of good form but as we have seen with Chelsea last season, it could all fall away in the matter of weeks and all of a sudden you are in a crisis. It's too early to judge despite Chelsea's fantastic run of form at the moment. You have to also consider that the likes of Manchester United and City are going to spend money again in January to try and strengthen their options available within the squad, especially with Jose Mourinho's United sitting a massive THIRTEEN points behind Chelsea! As for Arsenal? They have the players (squad depth is debatable) but it all comes down to having the belief to go that extra mile to win it. Do they have that this season compared to Chelsea and our other title rivals? Ian Wright does not believe they do. What do you think? So what do you all think of Chelsea as we head into the mad Christmas period? Do you think we can talk of being odds on to finish inside the top four at this stage of the season, after the results we have had against our rivals for those places? One thing is for sure, people can do nothing but sit up and take notice of Chelsea now after facing adversity against Tottenham and Manchester City at half time, to only fight back so impressively to win both games with City literally being taught a finishing lesson on Saturday lunchtime!